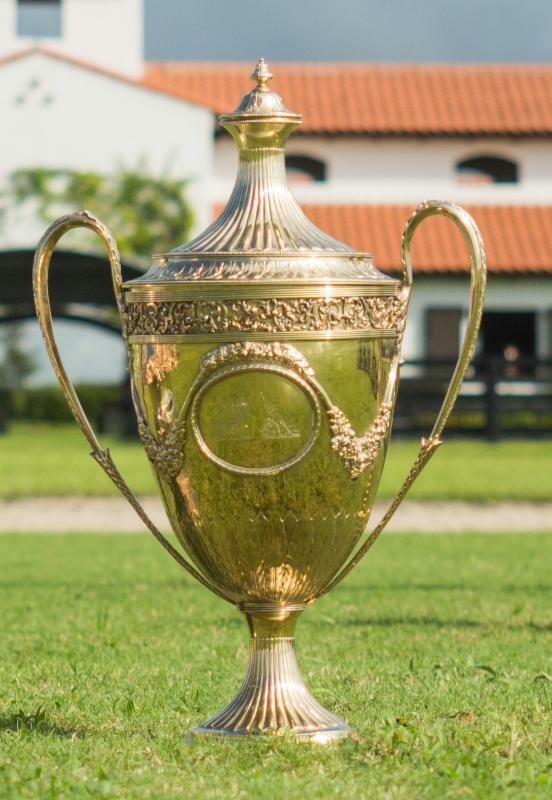 WELLINGTON, Fla., February 6, 2019---Valiente will return to defend its title in the prestigious Sterling Cup Saturday at Grand Champions Polo Club. 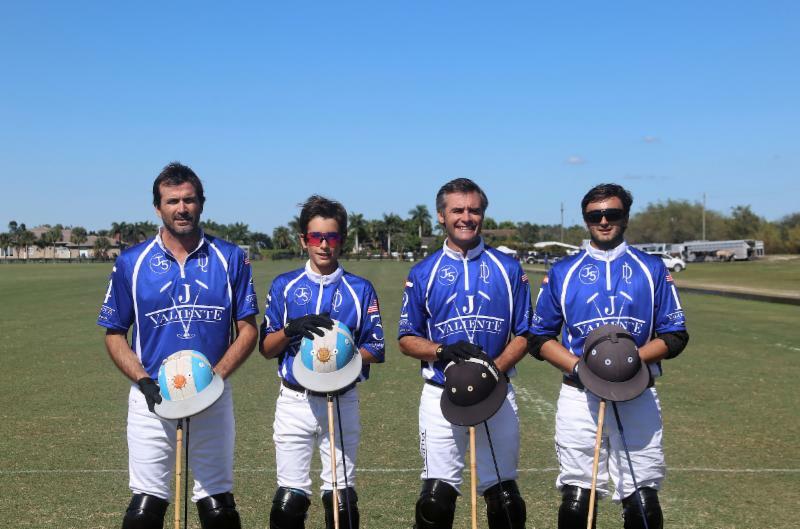 Sterling Cup finalist Valiente players Adolfo Cambiaso, Poroto Cambiaso, Robertito Zedda and Kian Hall. In what turned into a family affair, Valiente (Kian Hall, 3, Robertito Zedda, 4, Poroto Cambiaso, 3, Adolfo Cambiaso, 10) defeated Audi (Mia Cambiaso, 2, Marc Ganzi, 3, Juan Martin Zubia, 7, Nic Roldan, 8), 9-4, in the first semifinal Tuesday in front of a good crowd at Grand Champions. Valiente will play the winner of the Casablanca-Colorado semifinal on Wednesday at 11 a.m. at Grand Champions' Field Four. Colorado features Rob Jornayvaz, 2, Nick Johnson, 3, Diego Cavanagh, 9, and Santi Torres, 6. Casablanca has Grant Ganzi, 3, Tony Calle, 3, Juan Martin Nero, 10, and Juancito Bollini, 4. 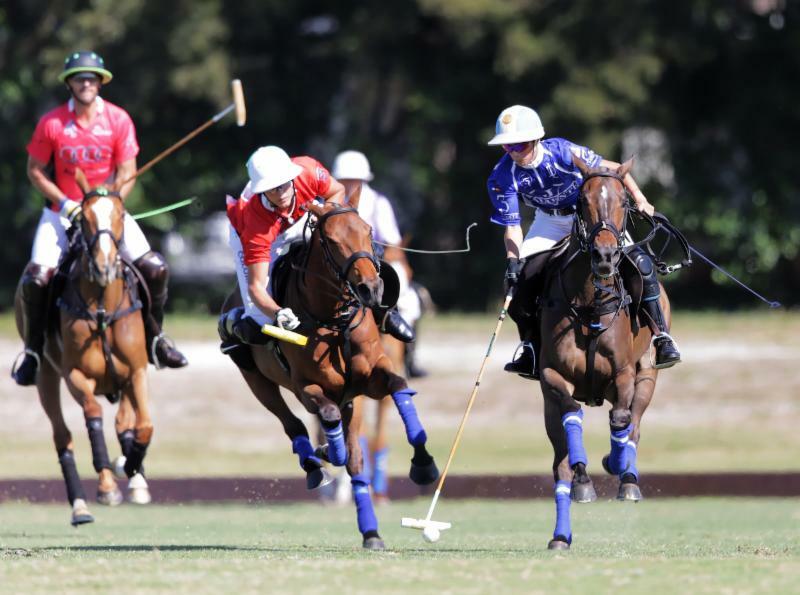 Juan Martin Zubia of Audi tries to hook Poroto Cambiaso of Valiente. Valiente (2-0) has scored 23 goals in two games. 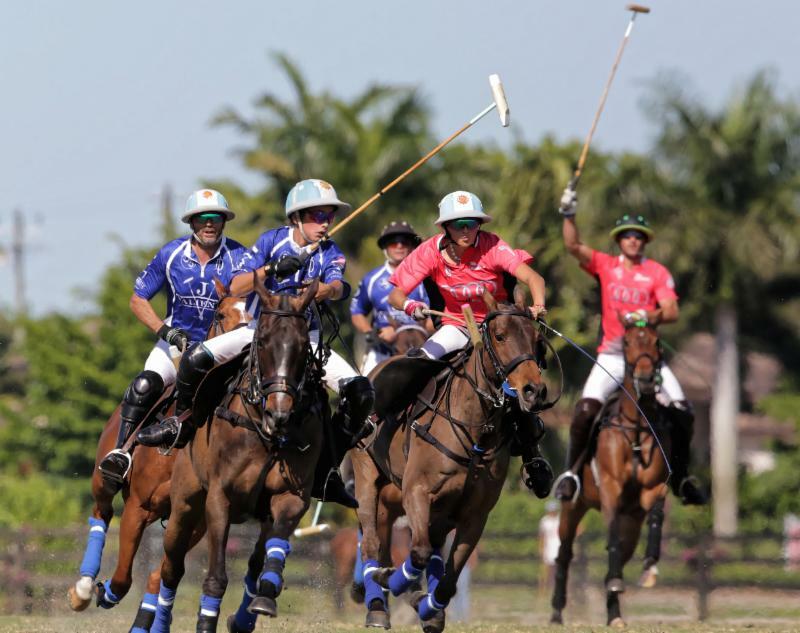 In its tournament opener, Valiente defeated Sebucan, 14-9. 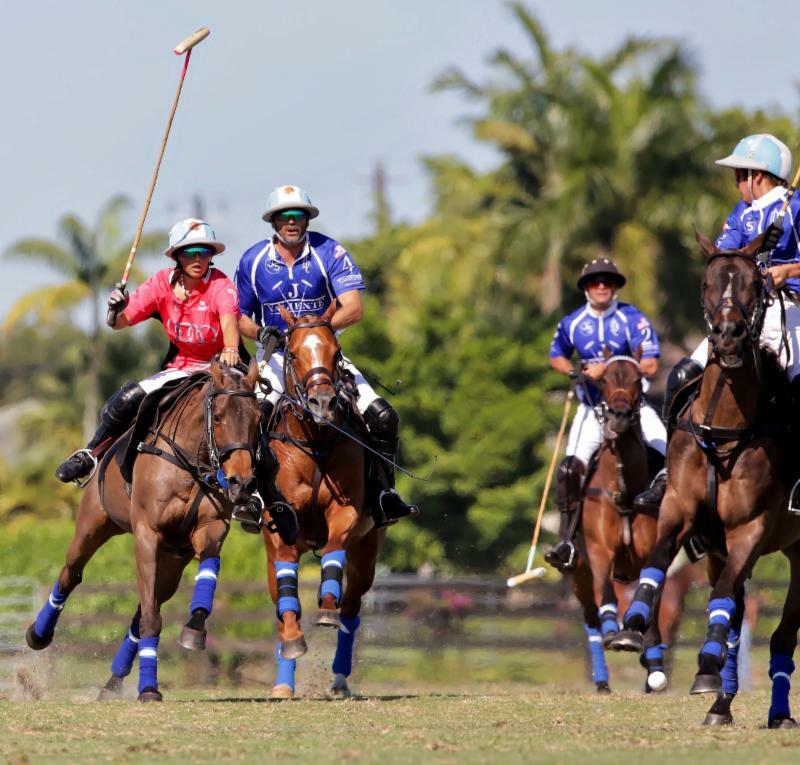 In a rematch of last year's championship final, Valiente made it look easy against Audi. But for 10-goaler and father Adolfo Cambiaso, it was anything but easy playing with his 13-year-old son Poroto against his 14-year-old daughter, Mia, two-time Women's Argentine Open champion. "It was strange but fun," Cambiaso said. "It was strange playing against Mia. I would rather play with my daughter. She played well. They are both good players and had fun. It's fun to be in the final and fun to play with this guy (Poroto) and friends, it couldn't be any better." Robertito Zedda of Valiente hooks Juan Martin Zubia of Audi. Mia Cambiaso, the only female in the five-day, six-team Sterling Cup tournament, played well against her father and brother. "I had fun, but I don't like to play against my sister," said Poroto Cambiaso with a smile. "I like playing with her. I am taking her to dinner." 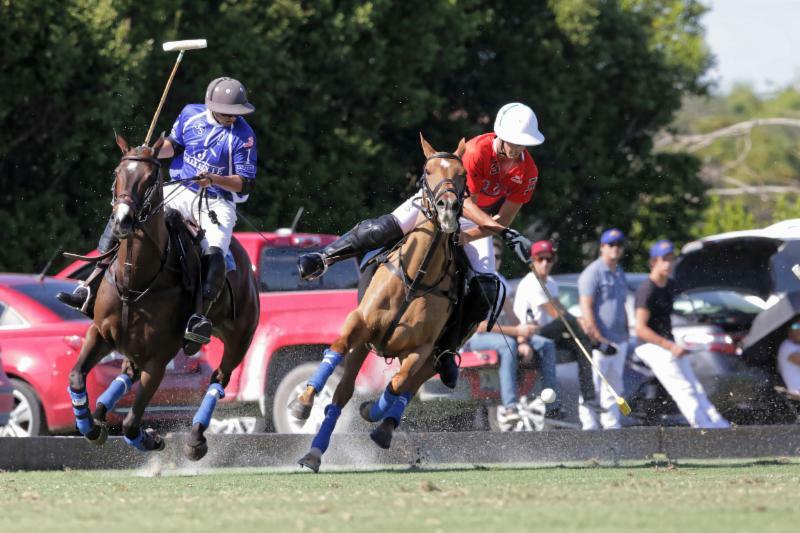 Adolfo Cambiaso of Valiente hits a neck shot past defender Mia Cambiaso of Audi. At 20, British player Kian Hall made his U.S. debut in the hot Florida sun. He filled in for 3-goaler Bautista Panelo in the Valiente lineup. Hall has played with Adolfo Cambiaso in the Queen's Cup and Poroto Cambiaso in the Royal Windsor Cup and had instant chemistry with all three of his teammates while running circles around Audi for most of the game. "This was amazing to play with them," said Hall, who plans to remain in Wellington through April to work with Valiente's organization. "You can see it now, but Poroto is going to be insane. It's great playing with him. I am here more to help with the horses and then fit into the teams where they put me." Mia Cambiaso of Audi defends Poroto Cambiaso of Valiente stride for stride with Adolfo Cambiaso looking on. Poroto Cambiaso scored a game-high four goals. 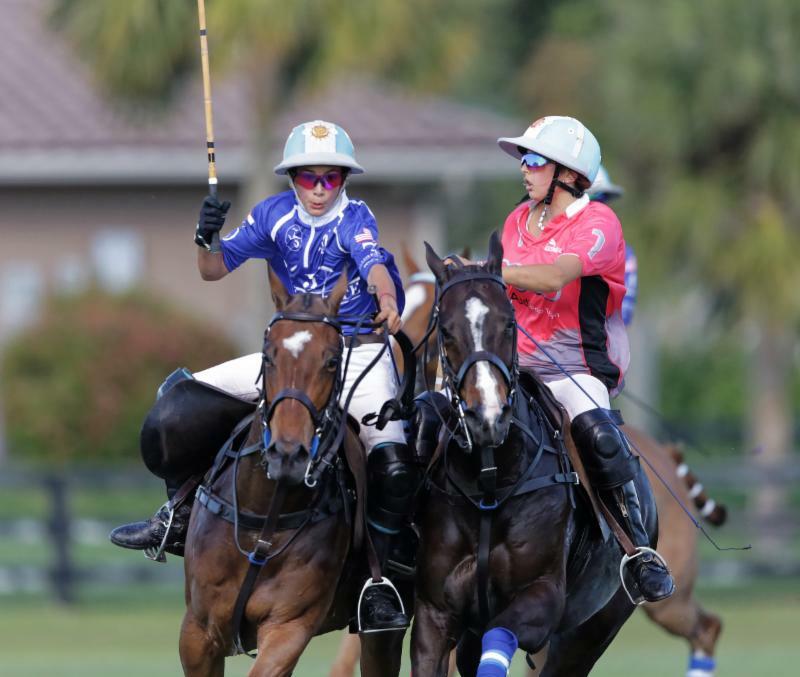 Zedda and Adolfo Cambiaso each had two goals and Hall added one. 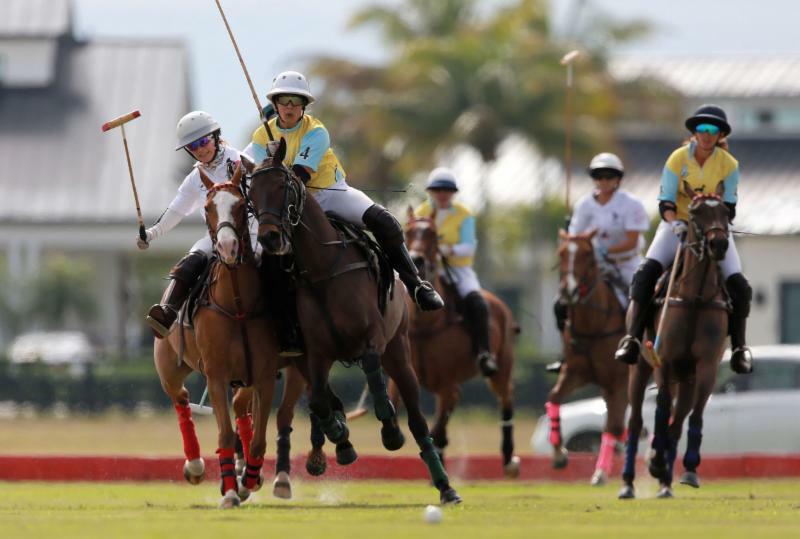 Audi, unable to get its offense moving for most of the game including four scoreless chukkers, was led by Roldan with two goals and Mia Cambiaso with one goal. Audi also picked up one goal on handicap. 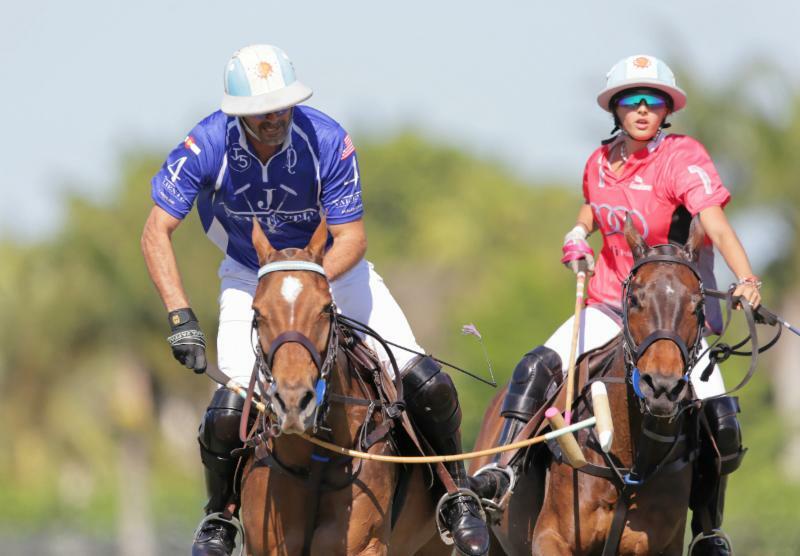 Poroto Cambiaso of Valiente tries to get away from defender Mia Cambiaso of Audi. "In the first half they missed penalties and that is a huge thing," Zedda said. "If they scored at least two of those goals they would have been up at the half. They had bad luck on the penalties and we were able to score. 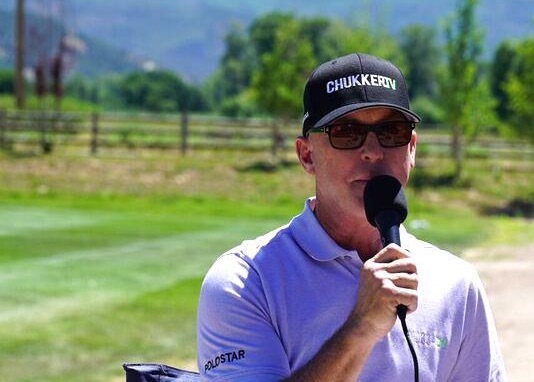 We had a really good fourth chukker and were able to take a bigger gap." Audi led 1-0 on handicap after the opening chukker. In the next two chukkers Valiente outscored Audi, 3-0, to take a 3-1 halftime lead. Poroto Cambiaso of Valiente watches his sister Mia Cambiaso of Audi hit a shot past Adolfo Cambiaso of Valiente. Valiente pulled away in the second half, outscoring Audi 4-0 in the fourth chukker for a 7-1 lead and extended it to 9-2 in the fifth chukker. "It was a lot of fun," Zedda said. "Kian played fantastic. He knows how to play with Adolfo really well. He played in England with him and in Argentina. To have the opportunity to play with Adolfo and Poroto is a dream come true for him. Audi's Juan Martin Zubia works the near shot as Kian Hall of Valiente defends. "I am having a blast, too," Zedda said. "I have been working many, many years with Adolfo, Bob and Poroto, growing up in the organization. I am very thankful to Bob, Rob and Adolfo that they let me play. I am very lucky. To play with these horses and these guys, it's a dream come true for me." 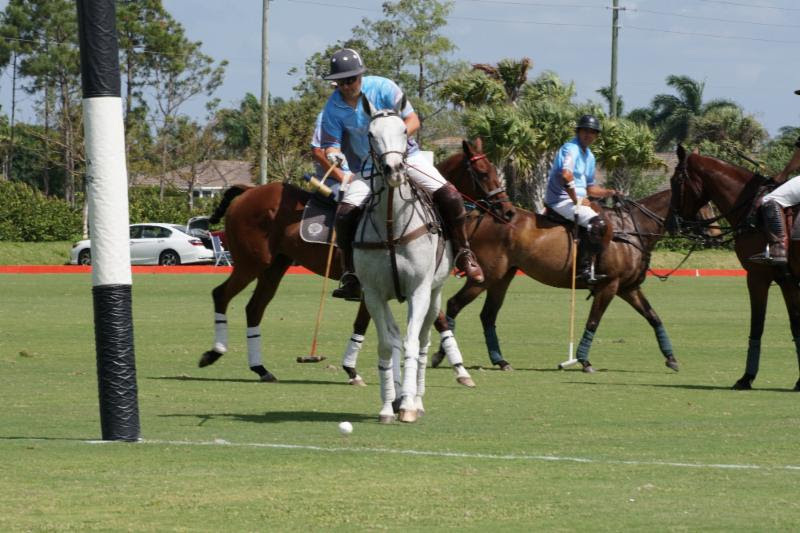 For Adolfo Cambiaso, it is a thrill watching his children play at a high level in the game. 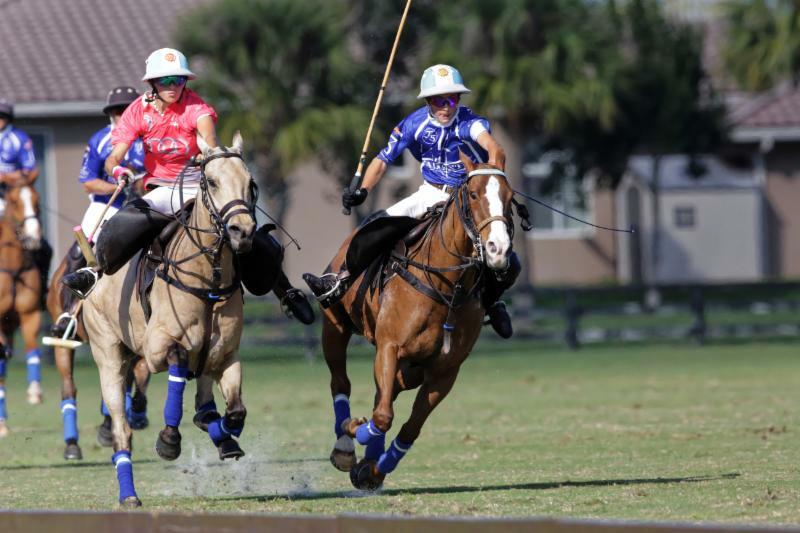 Poroto Cambiaso of Valiente tries to ride off defender Mia Cambiaso of Audi. 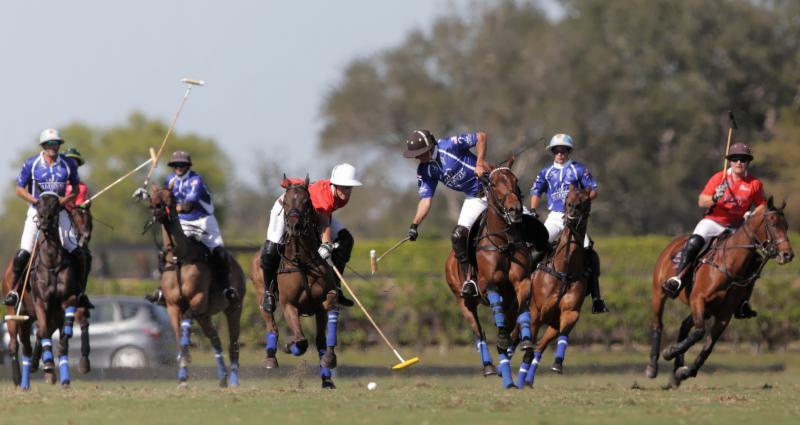 "It's fun that they are both playing polo and that Valiente gave them the opportunity to play in America," Cambiaso said. "I have to thank Valiente, Bob and Rob that they let my kids play like home. That is the most enjoyable part of being in America and playing here. Playing with Bob I feel like home and that's something different." 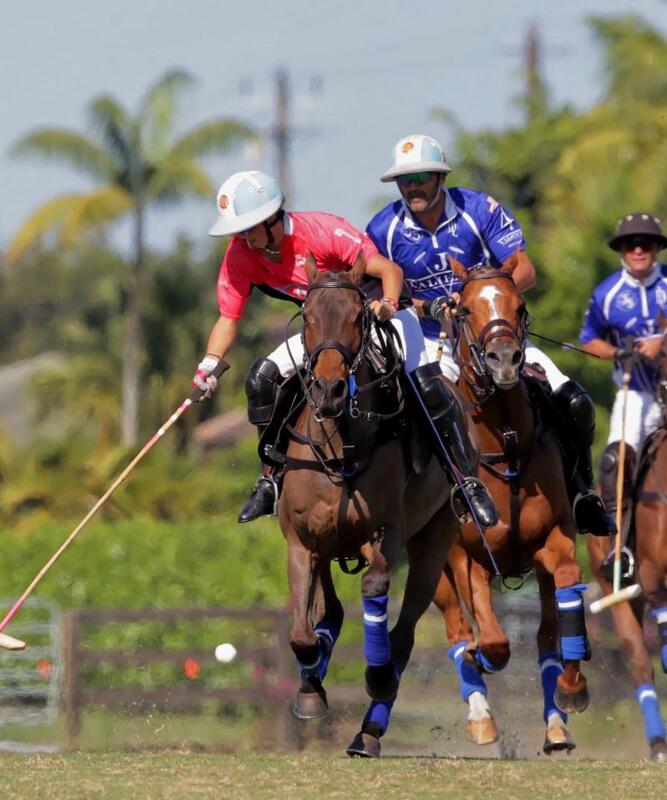 Adolfo Cambiaso of Valiente defends Mia Cambiaso of Audi as she works the ball out of the air. 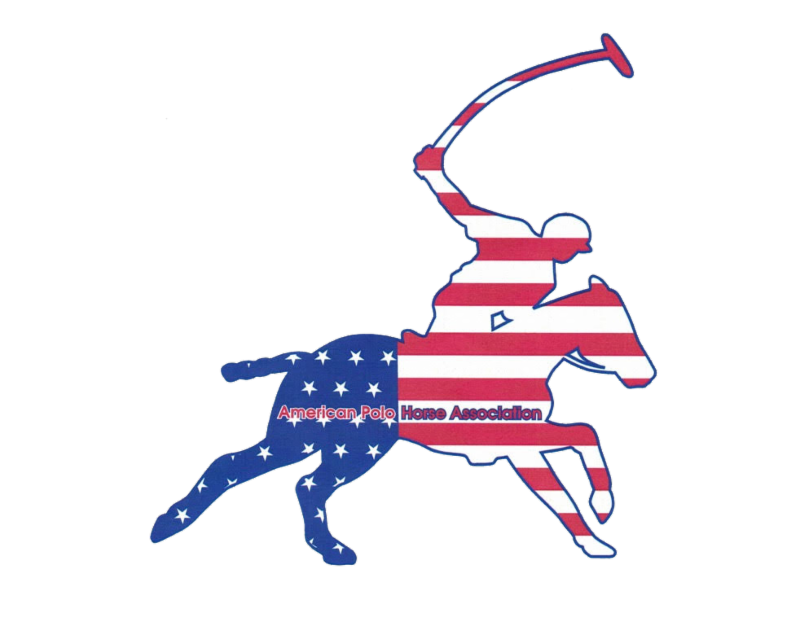 to recognize polo ponies in America and encourages events that showcase them and hard-working dedicationof grooms. 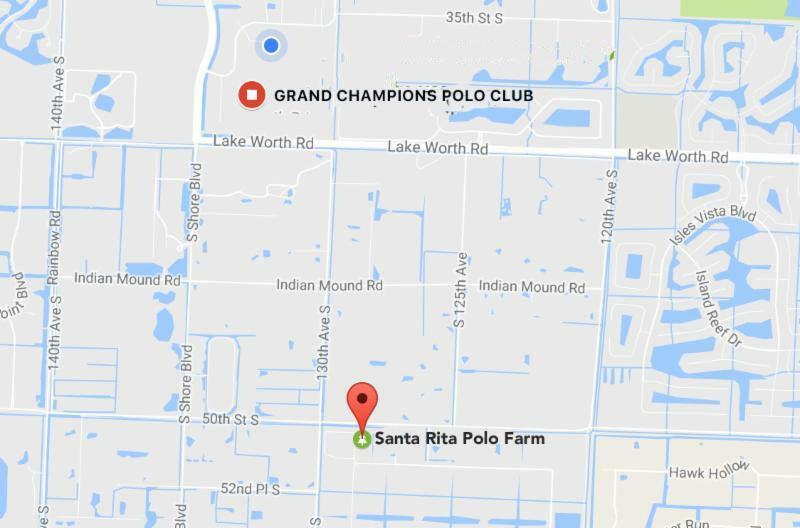 The biggest highlight of the season is the debut of the World Polo League this week, the nation's only 26-goal league featuring some of the world's top players and team sponsors at Grand Champions and Valiente Polo Farm. The WPL will fill the void created when the U.S. Polo Association, the sport's governing body, announced it was lowering high goal polo to 18-22 goals at International Polo Club and would not have 26-goal polo and instead feature the Gauntlet Polo Series with the C.V. Whitney Cup, USPA Gold Cup and U.S. Open.